This multi-storey public storage facility is located in the City of Vancouver. The corridors leading to all the storage units are lit by rows of fluorescent fixtures connected end-to-end across the entire corridor. The users of the storage units depend on these fluorescent lights for illumination when they access individual storage units. Therefore these lights must be well-maintained to ensure sufficient brightness to properly service the users’ needs at all time. 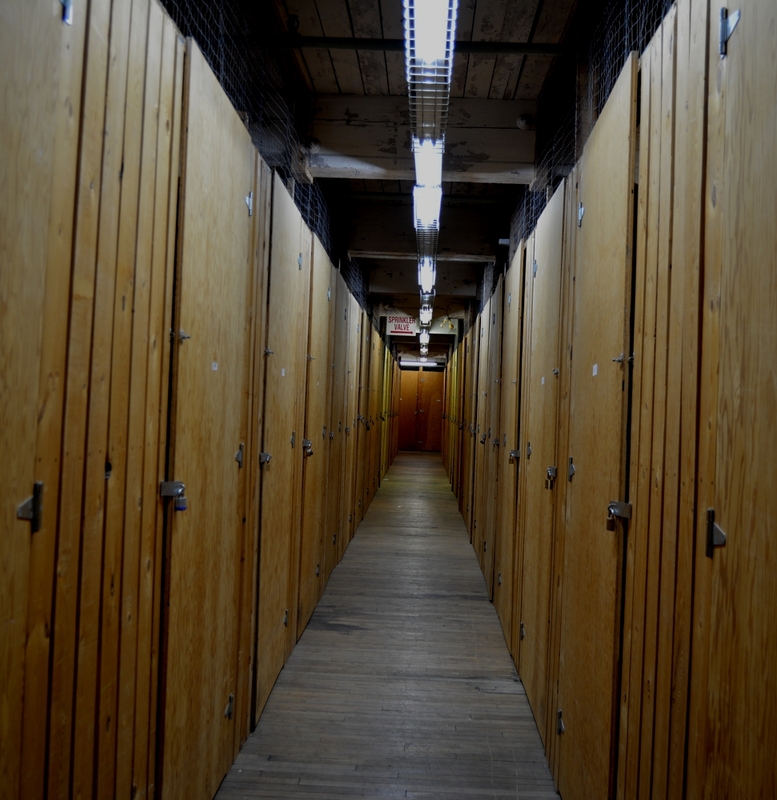 For historical reasons, the storage has a large mix of 8ft T12, 4ft T12 and 4 ft T8 all across the facility. These fluorescent lights are non-dimmable, so they are usually fully turned ON during daily operating hours from 8am to 6pm. The staff will visit each floor to turn off all the lights at the end of the day. Since the storage units are only occasionally accessed by users, a lot of energy is wasted when all the corridors are lit up at full power. There is great opportunity for energy saving by changing to LED lighting with smart control. For testing purpose, a pilot installation was commissioned. 3 pieces of existing fluorescent lights outside a more frequently-visited storage unit were converted to Smart LEDs using 3 sets of SLCs. The daily energy consumption over 5 weeks was recorded using an energy meter to determine the potential energy savings after conversion. The following table displays info of the 3 original fluorescent lights before conversion. Operating Hours: Open daily for 10 hours a day = 10 x 35 = 350 hours in 5 weeks. Original 8-ft and 4-ft T12 fluorescent lights are fully lighted at all time. The business intends to upgrade their fluorescent lighting to LEDs to lower the maintenance cost and the energy consumed by these lights. 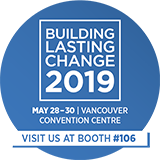 The city of Vancouver has strict energy-code regulations and requires the upgraded lights to have lighting control to either dim down or turn OFF any unused lights. Since all the lights in a corridor are daisy-chained from one light to the next and the corridor spans more than a hundred feet, traditional zone-based lighting controllers cannot reliably detect if there are any users still inside their storage units. There is a risk that the lighting controller may wrongly turn off the corridor light when users are still inside the storage unit. This can lead to user complaints and potential liability if the sudden loss of light causes injury. The Alec SLC fits this application perfectly. With its luminaire-level control, only the light outside of an occupied storage unit is fully brightened. The rest of the lights are dimmed to just 5% of full brightness, consuming only 2W per fixture (vs the 64W to 120W per fixture consumed by the always-ON fluorescent light). Energy and brightness measurements for the 3 converted fixtures were collected over 5 weeks. The result shows an astonishing 96% energy savings for these 3 lights, with each light being 1.3 to 4 times brighter than the original fluorescents. Lights dimmed to 25% after 15 mins of vacancy. Lights further dimmed to 5% after another 2 mins of vacancy. 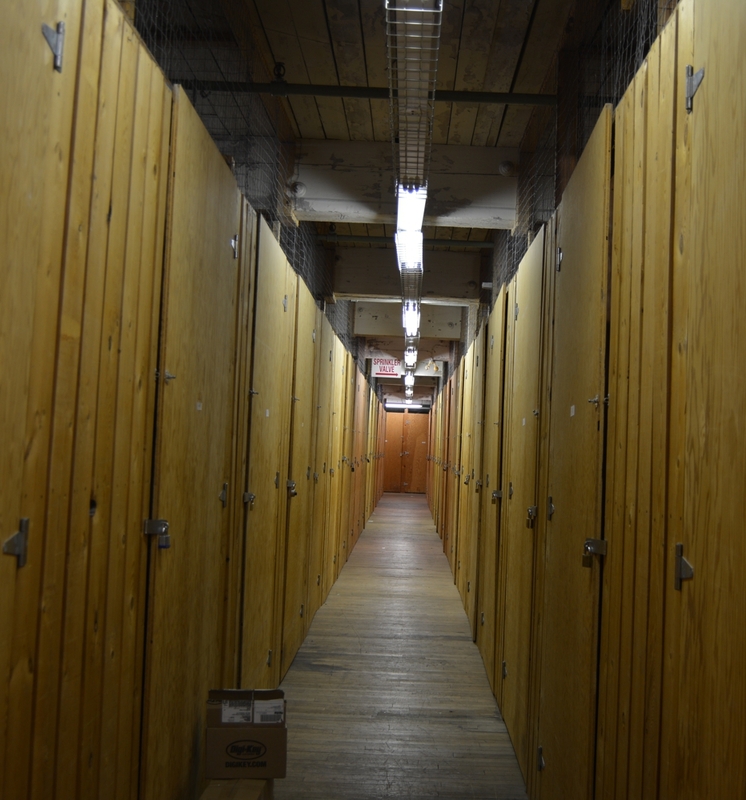 Both the manager and staff of the storage facility are satisfied that the ALEC SLCs operate as promised and deliver brighter lighting to users, but only when needed. Feedback from users of the storage facility has also been very positive. 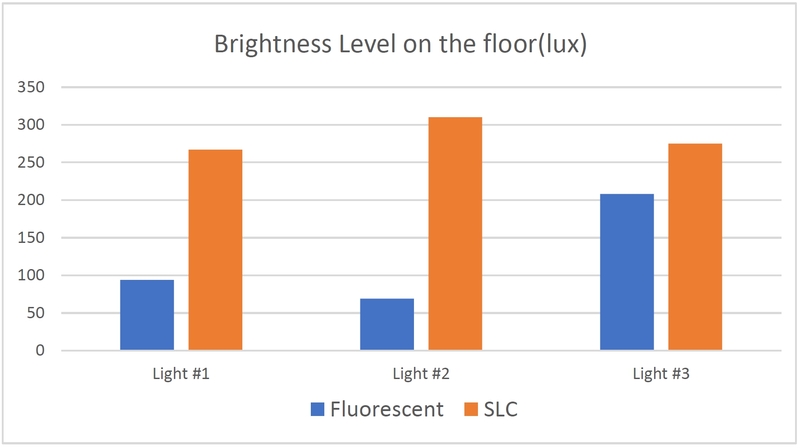 Results from the pilot installation confirmed that the high efficiency SLC provides much brighter lighting to the space than the original fluorescent lamps. More importantly, full brightness lighting only comes on when the space is occupied. The lights will stay in DIM mode whenever the space is vacant. Thus, the facility is never in total darkness. Such “On-Demand Lighting” enables lights to immediately and smoothly brighten one-by-one as and when an occupant enters the detection zone. A “Dual-Stage Dimming” algorithm was implemented for this pilot test. The SLC-converted LED light was configured to first dim to 25% when space was vacant for 15 minutes, and then dim to 5% after a further 2 minutes of no occupancy. This algorithm was designed to address instances where users may be inactive or are at corners of a space that is not detectable by the occupancy sensor. By initially dimming the light down to a medium dim level, it alerts the undetected user that the light is going to further dim to very low brightness (or even turned OFF completely) if no activity is sensed. This allows the user who is still around to activate the sensor and re-gain full brightness. The “Dual-Stage Dimming” setting works extremely well for this application. 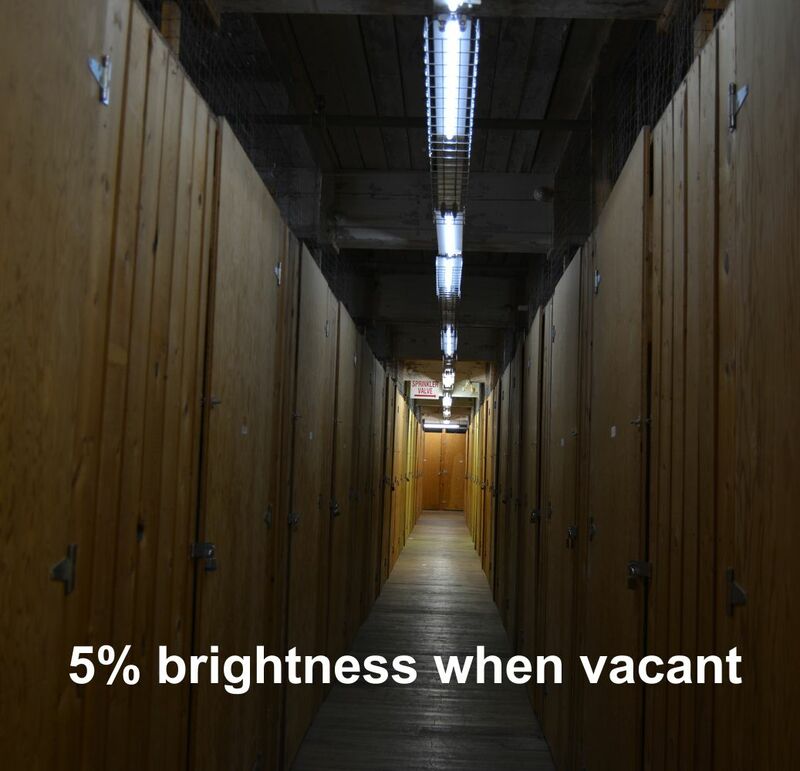 It ensures that if a user is at a corner of the storage area that is undetectable by the occupancy sensor after 15 minutes, the first stage dimming to 25% comes on. At this stage, the brightness level is sufficiently safe for the user to exit the storage cell to trigger the sensor. Each trigger of the sensor will give the user full brightness for another 15 minutes. 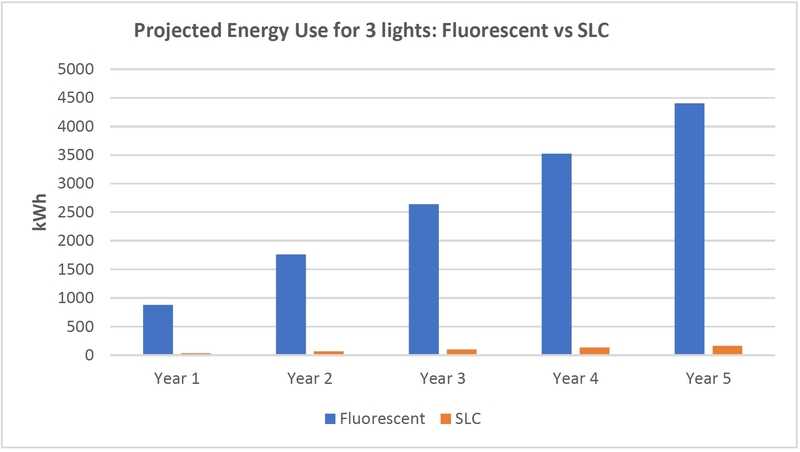 The SLC’s “On-Demand Lighting” is what contributes to the impressive 96% of energy savings achieved by converting T12 fluorescent lights to Smart LEDs. The next step in this project is to seek the top management’s budget approval to convert the more than 300 fluorescent fixtures to SLC. Contact info@aleccontrol.com or call 1-877-874-7527 today to request for more information.